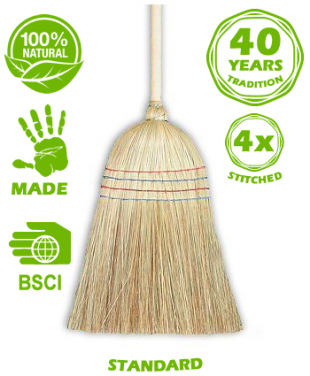 Production capacities of “SZR Pavlinji” range from 1.000 to 1.500 of brooms per day or 30.000 to 40.000 brooms monthly. 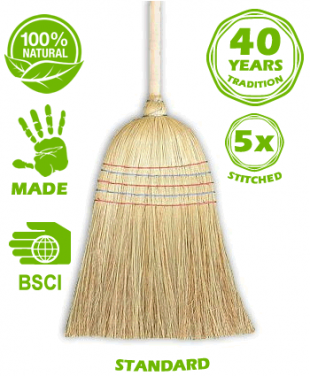 The production capacity varies because we make different kinds of brooms by sort, height and weight. 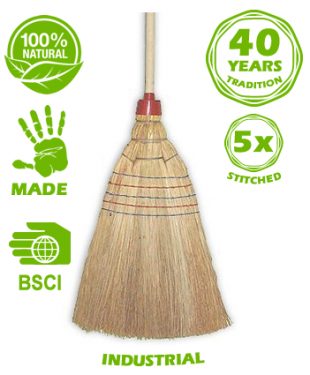 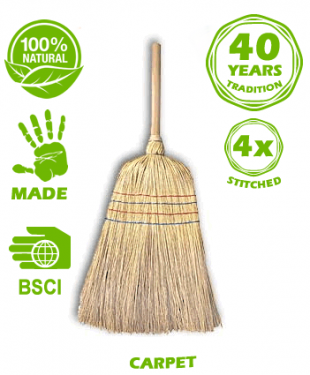 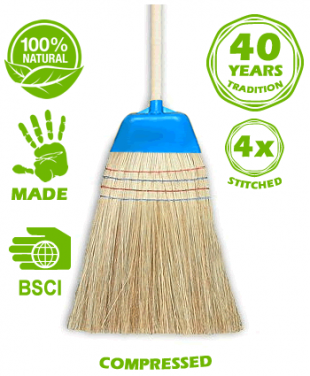 We are capable of making custom made brooms by the specifications of the buyer. 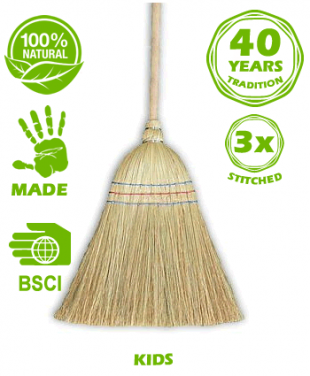 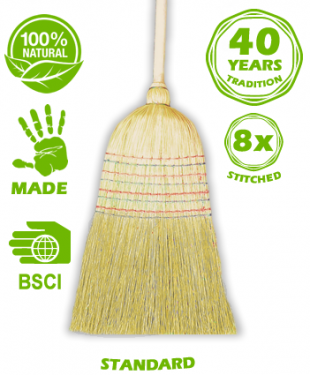 We can produce classic and stylish brooms. 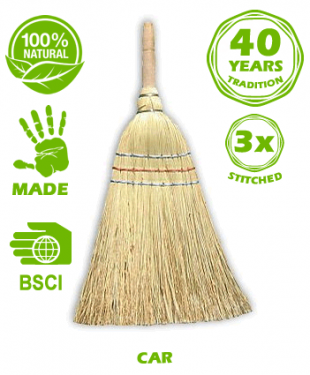 It is best to contact us for further details about this service. 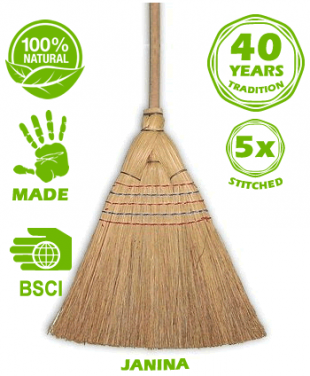 Our company is BSCI certified which is an indicator of responsible conduct to the people and to the environment. 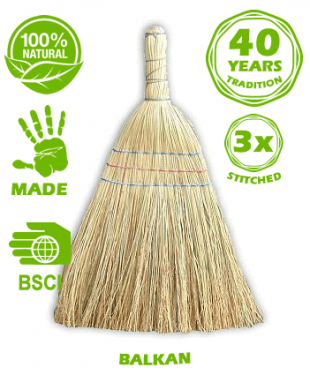 The statutes of the BSCI are based on the standards of the International Work Organization (ILO), the decree of the United Nations (UN) on human rights and on the national laws and regulations which demand their consistent implementation.